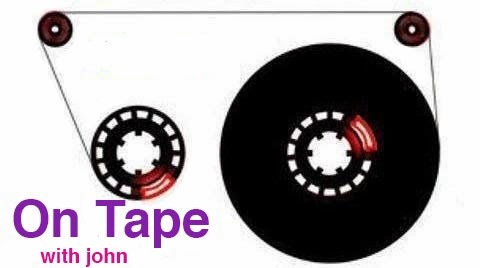 On Tape: Wicked mediocre! How'd ya like them apples? Wicked mediocre! How'd ya like them apples? Adapted from Chuck Hogan’s novel, "Prince of Thieves," The Town explores the Boston crime world with the same gritty sensibility as Ben Affleck's debut, Gone Baby Gone. From its intense opening sequence on, the film again shows Affleck's deft directorial hand; this time around, though, the presentation is decidedly slicker. The action — perhaps buoyed by the director's increased confidence — is stepped up a notch, and while its car chases and heists are gripping, there's an undercurrent of significance and meaning sadly missing from the proceedings. In addition to his directing and co-writing duties, Affleck stars as Charlestown crook-with-a-heart-of-gold Doug MacRay, who heads a crew of creepy-masked bank thieves, including hotheaded James Coughlin, (Jeremy Renner) Doug's childhood friend. While James remains fiercely loyal to their violent way of life, Doug angles for a way out — of robbery and of Charlestown — but not before One Last Big Job. Affleck is likeable, but sometimes outshone by the strong cast he's assembled. (Renner, in particular, follows his Oscar nod with another commanding performance.) Each character is unmistakably a stock archetype, fleshed out as much as possible by engaging actors: Rebecca Hall as the love interest/bank manager (twist! ); Jon Hamm as the smooth FBI agent on Doug's tail; Chris Cooper as Doug's wizened father, serving time for his own crimes. Despite its by-the-books plot, the movie's still fun to watch unfold, and hits all the necessary notes with aplomb — even if that means heading toward a schmaltzy ending which wraps things up a little too neatly. 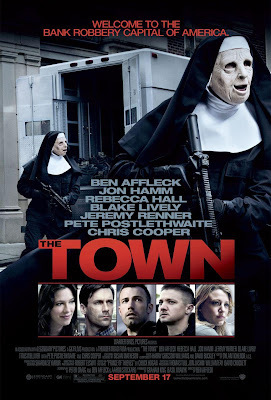 Moment to moment, The Town is a well crafted and compelling thriller, but lacks the emotional resonance of the high standard Affleck previously set for himself. It'll be interesting to see what this clearly talented filmmaker chooses as a next step. Yeah, I thought it was solid enough, but probably only warrants a rental. Shooting your eye out for 25 years!